Learning from well-trained, experienced instructors has a positive impact on your learning and motivation to learn. Our instructors are experts in the Brazilian language, culture, and lifestyle. Drawing on her passion for Brazilian Portuguese language and culture, Luciana Lage applies her many years of experience teaching Portuguese to grow an organization and a community fully engaged in learning about Brazil and speaking the language. 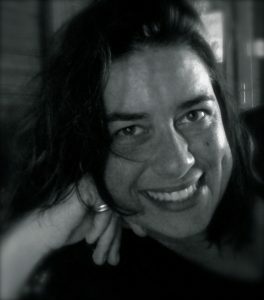 In addition, Luciana has taught Portuguese at University of California, Berkeley, and at the University of San Francisco. You will often find Luciana talking with the Street Smart Brazil instructors about the importance of teaching the language and acting as ambassadors of the culture. She is positive that learning Portuguese will benefit clients far beyond simple everyday communication and will help them develop more meaningful relationships with the Brazilian people and culture, in both social and business settings. Luciana’s clients come from all walks of life and different cultural backgrounds, including the U.S., Japan, Colombia, Peru, Argentina, and Vietnam. When teaching, she can identify — and overcome — the challenges faced by learners of varying nationalities. Her passion for learning and sharing knowledge also led Luciana to teach business to undergraduate students in Brazil. Her business experience is perfectly integrated into Portuguese classes, as more and more clients decide to learn Portuguese motivated by professional goals. When Luciana is not teaching or working on the business, she enjoys a variety of activities. She loves to learn and is passionate about online education. This means you can always hear Luciana talking about a webinar that she has just taken. Long walks in nature are one of her favorite things to do on a sunny weekend. She loves reading and is a big fan of movies. A glass of wine together with great conversations with loved ones always makes Luciana happy. My clients’ constant improvement in Portuguese is my greatest motivation to continue learning and innovating in my teaching. Professora Daniela Ávila joins our team from Florianópolis, Brazil. She is originally from Rio Grande do Sul, the land of Brazilian barbeques. Daniela brings a unique set of skills to Street Smart Brazil. She is experienced preparing speakers of Portuguese to take the Celpe-Bras certification exam. Additionally, her law degree allows her to give practical advice to her clients on the Brazilian judicial system. Daniela went to law school and practiced environmental law for the Brazilian government in Rio de Janeiro for several years. She later moved to California, where she discovered her fondness of language teaching. Daniela then decided to take a course in teaching English as a Second Language at Monterey Peninsula College. Upon completing the program, her language skills were put to practice when she started to teach English and Portuguese with great success among her learners. Daniela is a dedicated, knowledgeable, and passionate teacher. This passion is motivated by her clients’ improvement and achievements. She believes that staying connected is key, and is committed to staying updated on current issues around the globe. She loves to learn and is committed to keeping her teaching sharp in order to offer her clients the best learning experience. Daniela consistently receives excellent feedback from learners, and most of them are now fluent in Portuguese. Having lived in Brazil and in the USA, the American and Brazilian cultures are equally familiar to Daniela. She makes sure this experience translates as a benefit to her clients by sharing useful information about social and business culture, traditions, and customs. In her free time, Daniela enjoys cycling around the island of Florianópolis, watching movies and participating in marathons. She has recently completed her first long bike ride: 200km (124 miles). Impressive, right? 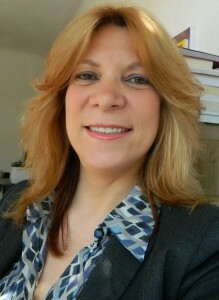 Professora Cristiane Feyh is originally from Rio Grande do Sul, Brazil. She lived in Rio de Janeiro for 13 years, and has also lived in Seattle, North Palm Beach, Miami, and Milan in Italy. Professora Cristiane has been teaching Portuguese and English as a foreign language for nine years. She has taught learners of all ages. Cristiane believes in dynamic and creative classes as a way to internalize a foreign language. Her final research project for her BS in Portuguese and English was titled “Real or Traditional English in the classroom?” It got an A+ with honors. 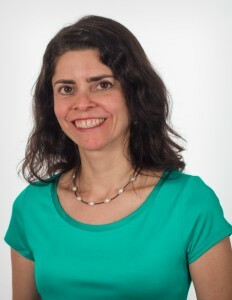 Professora Dalva Rodrigues is originally from Minas Gerais, Brazil. She is a very enthusiastic and dedicated teacher who discovered her fascination for languages a long time ago. Before working with the Portuguese language, Professora Dalva taught English as a Second Language for 14 years. 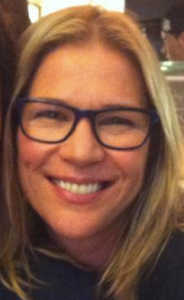 She is a native speaker of Brazilian Portuguese and fluent in English, Spanish, and Dutch. Love took Professora Dalva to the land of tulips and windmills. Since 2005 she has been living in The Netherlands teaching Portuguese as a foreign language. As an immigrant, Dalva knows how important it is to know the language of the place where you live so you can better understand the culture of the country. Learning Dutch has been a challenging enterprise. Doing voluntary work and participating in multicultural speaking groups are some of the strategies that Professora Dalva has used to help her become fluent in the language. Now she feels at home in the Netherlands. Professora’s Dalva experience learning Dutch has significantly influenced her teaching. It inspired her to look for a variety of approaches that will best fit each learner’s unique needs at a given moment. This opportunity also opened her eyes to new perspectives and a better understanding of the teaching/learning process, making her more confident about the learning process of those she teaches. Besides teaching and learning, Professora Dalva is passionate about traveling. When she’s not camping or sailing, she’s studying Tarot and taking courses that help her get more insights on this life. Professora Jaqueline Jacques is originally from Porto Alegre, in southern Brazil. While growing up, she always knew that she wanted to travel overseas. So one day she packed her bags and landed in San Francisco, California. Her love of language and teaching was ever present. She always felt happier when she was assisting her friends writing letters in English or Portuguese, or teaching Portuguese to those who wanted to travel to Brazil. It was inevitable that she would end up working with the Portuguese language. To validate her passion and sharpen her language skills, Jaqueline pursued certifications in translation and interpretation. In addition, she volunteers in a storytelling project to maintain Brazilian culture and language amongst immigrant children. Professora Tatiana Dutra e Mello is originally from Rio de Janeiro, Brazil. She comes from a family of teachers. She fondly recalls helping her grandmother who taught illiterate adults and aiding her own mother by correcting students’ assignments on the weekends. In other words, Tatiana was a Teaching Assistant in training back then! If you ask Professora Tatiana what she loves most about teaching Portuguese, she will mention the close relationships that are formed between instructor and learner through Street Smart Brazil’s one-on-one lessons via webcam. For Tatiana, it is motivating and fulfilling when a client affirms that through the lessons s/he not only learned Portuguese, but also discovered Brazil! Professora Tatiana is interested in language, arts, and music. She is an avid reader, and also has experience with translation.